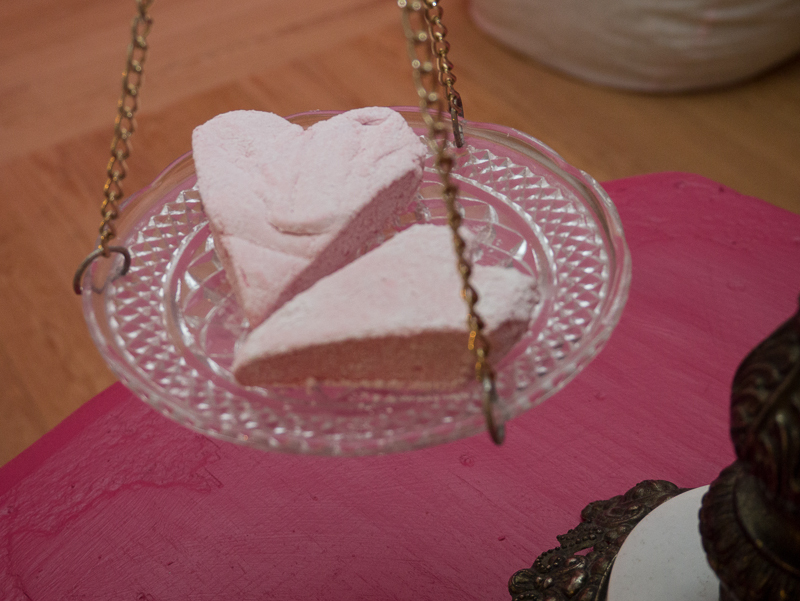 Remedies for your loved one on Valentines day, or perhaps a prescription for a "broken heart mender"? 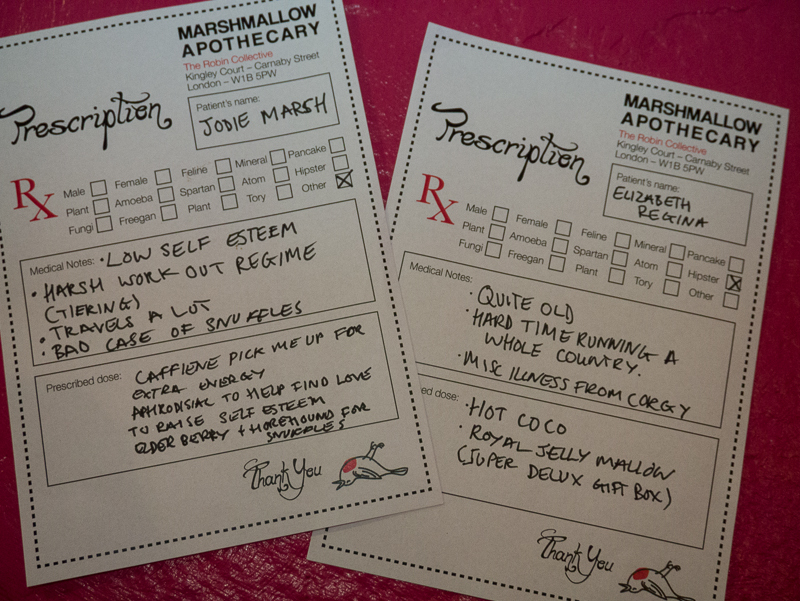 The Marshmallow Apothecary offers a variety of treatments to make you feel a box of birds. They'll prescribe the perfect treatment for you, which you can take away, or better still you can enjoy at your leisure in a softly lit room whilst nestling into a marshmallow coloured pouf. Oh, that is such a cute idea!!! I love it. 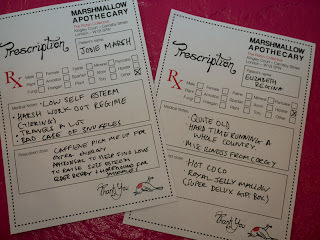 Wouldn't it be great if all of our complaints could be solved by hot chocolate and marshmallows! Sounds like a good way to recover! Happy Valentine's Day to you! May you enjoy the day with love and laughter as well as a little champagne and chocolates! Just sitting on a pink marshmallow pouf, preferably eating white marshmallow sounds like a recipe for curing the blues Mo! 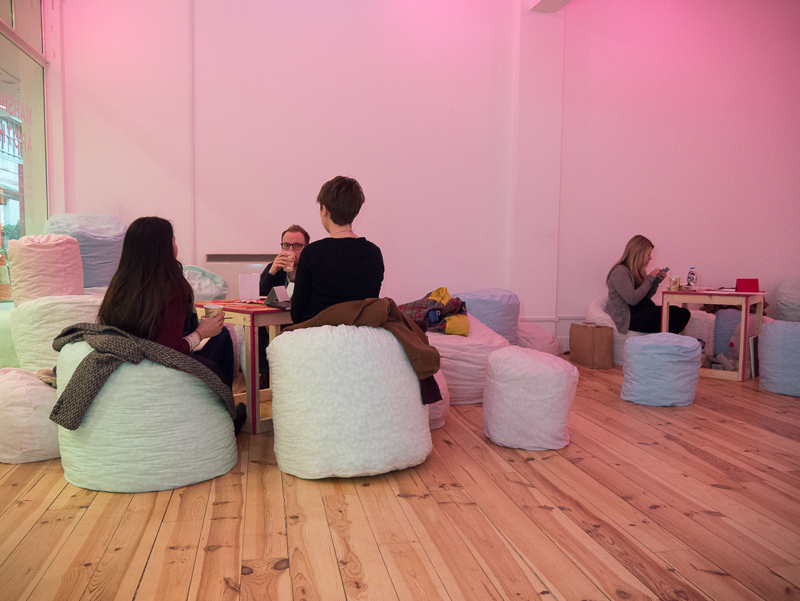 These is the perfect pop up shop - I don't usually eat marshmallows but the chance to sit on those poufs is enough for me too! What a great concept! My prescription for well being usually entails chocolate, but this looks like a great place to visit. So, Mo, what was your prescription?